Come join us for our monthly networking mixer the First Tuesday every month. This month's First Tuesday is going to be a "Bring a Friend" mixer. There are official LSE lapel pins from Houghton Street London for those of you bringing a guest. We will also be planning a "Summer Wine Tasting" event and our annual Bon Voyage. We meet on the first Tuesday of every month over cocktails (cash bar) at the Batch Gastropub in Brickell Miami starting at 7:00 pm. 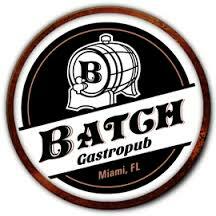 So come meet new friends, network or just hang out at the Batch Gastropub, located at 30 SW 12th Street in Brickell.